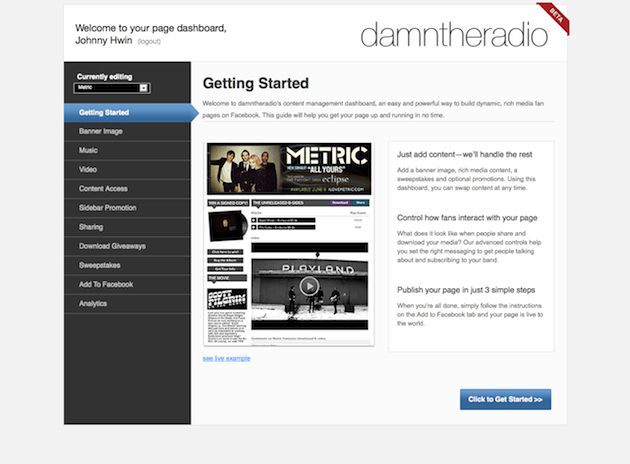 Damntheradio, an appropriately named social media CMS for bands and brands, launches today in private beta. Part of the i/o ventures incubator, Damntheradio allows companies to strengthen relationships with their fans through Facebook and Twitter and facilitates the sharing of branded content through incentives, across multiple Facebook pages. Damntheradio shares the enterprise branding space with competitors Buddy Media and Wildfire. 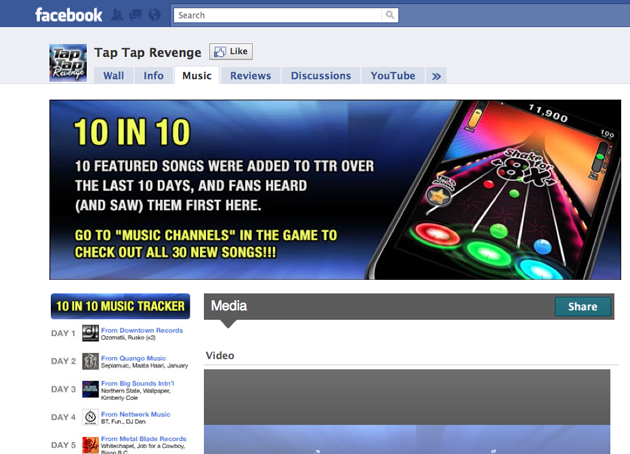 Damntheradio already has helped artists such as Enrique Englesias, Metric, Avenged Sevenfold and companies like Warner Brothers, The Collective, and Tapulous manage lead gen and CRM using social media, including setting up a system of rewards for top influencers, as well as orchestrating campaigns exclusive to Facebook fans such as the Tap Tap Revenge Ten Song Countdown and even a whole album launch by artist Travis McCoy. In a world where your Facebook fans have become in some sense your audience, Damntheradio’s tools to better target this audience engagement a huge boon for anyone trying to promote branded content.